There’s no denying that Office 365 is one of the most well-known and widely used collaborative business apps, but many organizations haven’t figured out how to manage its bandwidth consumption or cloud security needs yet. 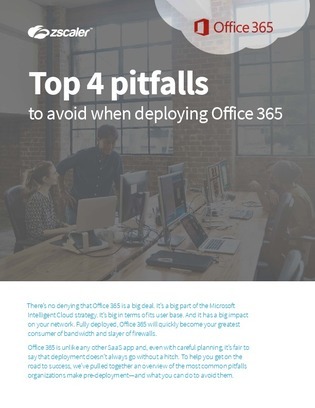 This white paper names 4 of the most common networking pitfalls in Office 365 deployments and explores how to avoid them. Find out how you can improve traffic management and meet the connectivity demands of Office 365 so that you can boost productivity for your workforce while providing a smooth, secure network experience.